Less than three months after Hurricane Harvey devastated the city of Houston, the Houston Cinema Arts Festival kicked off its’ ninth year of festivities. In the wake of the storm venues had to be replaced and plans had to be changed, but we all pulled together to create the best HCAF yet! The festival included everything from Oscar hopefuls (and eventual winners) like Call Me By Your Name and Three Billboards Outside Ebbing, Missouri to travels through space and imagination with CineSpace and beyond. 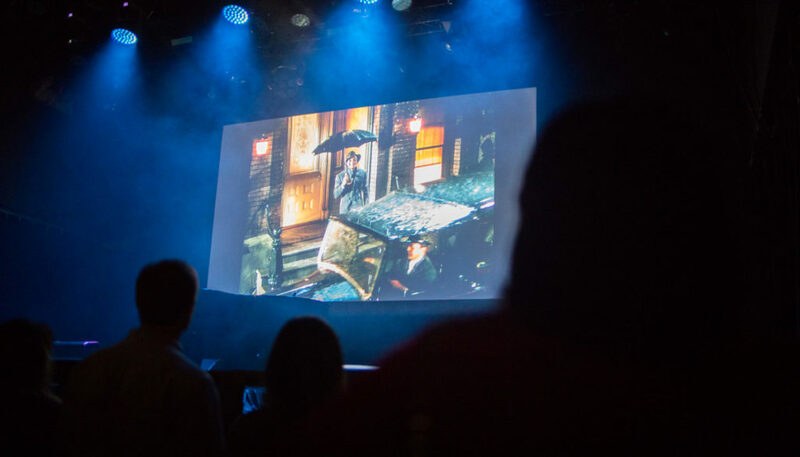 The Cinema Arts Celebration at White Oak Music Hall was a hit, combining the classic Singing in the Rain with modern music and dance performances. The eclectic event included performances by Bun B, Kat Edmonson, members of the Houston Ballet, and many other talented artists. Bodied, from director Joseph Kahn, was another crowd favorite at the 2017 festival. The film showed to a packed theatre and was followed by a Q&A from the director and Bun B, as well as an amazing live rap battle by local rappers. Through the storms and setbacks, HCAF 2017 managed to become one of the most engaging, electrifying festivals in Houston Cinema Arts Society history thanks to all of the wonderful patrons, volunteers, filmmakers and artists! NINE IS SUBLIME AT 2017 HOUSTON CINEMA ARTS FESTIVAL	Gearing Up for Our 10th Anniversary Celebration! Gearing Up for Our 10th Anniversary Celebration!